This time around, we joined the Nickelodeon Slime Cup Run. It had different categories - The 200M Dash that was specifically for the kids only, 1K Run for dogs and their pet parents and the 3K Run for all ages. My boys and I joined the 3K Run. :) I was super excited for this, because it's our first ever Fun Run as a family and that's another thing to check off our Family Bucket List! Yey! ^_^ Thank you to Skechers for this fun day! The gun shot was fired at exactly 6:00 AM at the SM Mall of Asia Concert Grounds, but it took us 10 minutes before we actually started running cos the kids still had to dress up and do a bit of stretching. But once they were ready, off we went!! And there goes my boys! Super cute watching them run together! Athan deserves the best award among us! :) He was such a trooper all throughout! Imagine some kids only did the 200M Dash and he did the 3K! So proud! On our way back, we spotted the 1K Run starting and look at the cute dogs with their pet parents!! :) Wishing we had a dog too! OMG! I just realized now that we finished this race in just 53 minutes too! Wow! :) Talk about coincidence! Maybe that's our lucky number! Hehe! Whoop!! Go TEAM ZABAT! ^_^ Congrats on our first Fun Run as a family! The kids went to shoot some hoops at the Skechers booth! 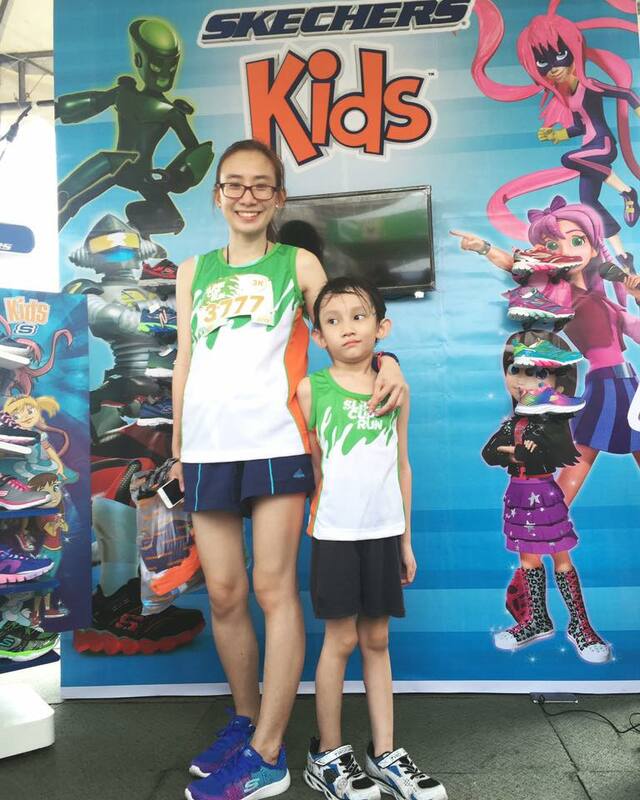 Athan and I both wearing our Skechers shoes during the Fun Run. :) Super comfy and stylish! Thank you so much, Skechers for the amazing fun day! Glad I was able to do this with my family! Visit Skechers for more the latest shoe styles and updates!